Please please count me in for this wondereuos giveaway…. Besides all fuzz around the price, Microsoft Office stills simply the best! Microsoft Office is definitely the best! This is a great giveaway, thanks and please count me in! Great giveaway! Please include me in the drawing! Thank You for this Giveaway. Please count me in.. I am running an older version and would love to receive this issue. You have commented on another persons entry. Try again silly. Tried many “substitute” programs, yet again and again I’m coming back to MS Office – the Standard for office suites. Please, count me in your fine giveaway. Wow! I could use this one. Sign me up please! Great giveaway, I want it. Super, nice giveaway. Count me in!!! Excellent giveaway. in fact giveaway of the year. Thanks for the giveaway! Please count me in!. OMG! this is so good. Wow! I am using the trial version, application error quick often. Thanks for this promotion. I hope to be one of the fortunate of this license office software package most widespread in the world, Microsoft Office 2013. I hope I win a Microsoft Office Home and Business 2013 license! Thank you very much. Superb offer. Count me in! I havn’t words about it! MS Office is still the greatest. Please count me in! Fantastic Giveaway, please count me in! Popular commercial office suite. Super competition. I hope I win. Many thanks! Count me in. Count me in and thanks. Thanks. I try my luck. Here’s hoping! Thanks AppFound – another awesome giveaway! Thanks for this Giveaway! MS Office – standard! Amazing Giveaway! Please count me in! Thank you very much. Sharing Is Caring. Thanks for this really useful and expensive giveaway. I hope to win this one. But may the luckiest one win. Super office suite, fast, transparent, for me, good old MS Office. Super Giveaway. Thanks for giveaway! The best soft for office work, count me in! Excellent giveaway please count me in and thanks. I have Office 2010 Home and Student and this upgrade is welcome! Thanks! Thanks for a chance to win the best. Youpiiiiii ! I like, I like to win it. Count me in, please. Nice giveaway! Thank you AppFound!!! wow. this is an interesting giveaway. please count me in to win a license. many thanks. Bonjour, un bon logiciel un bon giveaway!!! Rien à dire, j’èspere que cette fois-ci c’est moi!!!! Nice giveaway and great software! I would love to have the update version of this software. Thanks! It would be nice to have a full working version of this. Thanks. Thanks for this opportunity. Cant do without Office. It would be good to win this…I hope I will! Please add me to the giveaway list. Thanks please count me in. Wow, really impressive! Thank you in advance! 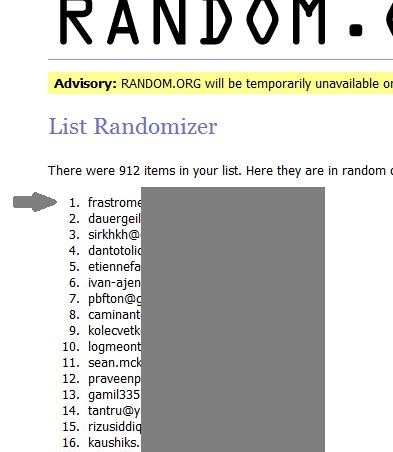 Thank you for the giveaway, I`m in. This is fantastic, thank you and count me in!!! thanks for this contest. I´m very interested to win this office software. Wow! Nice giveaway. Count me in. Thank’s for this great Giveaway. superb offer – pls. count me in ! Bardzo chciałbym wygrać Microsoft Office Home & Business 2013 . Great GA!!! Please count me in!!! This would be the BEST choice for me to handling all my works! I really want get this great offer! Thanks for setting this up. Great software. Time to upgrade now I’m at Uni, so this would be perfect. Wow, nice prize. Count me in for this great giveaway. I want to feel the sophistication of Microsoft Office 2013. Do as reported in the media? great contest, thank you very much. Very niece software package!! Count me in! I love Microsoft Office! This newer version will be the best! Hope to win! Thank You! Great offer! Count me in! Great. Please do count me in. Wow, count me in too. very nice. please count me in. Yep, I’ll have some of this. This is excellent. Count me in! This is an opportunity that I have been looking forward to for a long time, please count me in! Thanks and I will share this giveaway on my blog. Would be nice to know which version it is, and who is the real gift maker. And more. When and where actually came out the final version? I think – still not? Anyway have not heard of, but maybe you put here a link to this message, that final version is now out and available? Please include me in this Giveaway too..
Real nice Giveaway. Count me in please! Count me in, please :D! Microsoft Office is the best! Oh boy! Great giveaway. Please count me in. Very nice Office Program count me in! I am running an older version and I would love to get this model. It looks like the best of Microsoft Office will be won by somebody and that would be great if it was me.. Thank you. I would like to join. Count me in, please! Great offer. Thank you for the opportunity. Many thanks! Please count me in. I need this legit office, yeah! Hi ! I’m already subscribed so just thought I’d comment that this is an awesome giveaway. Wow! What an awesome giveaway. Please count me in. Thanks. Greatest Giveaway…. Count me in for this giveaway…. Wow, What a giveaway is this, excellent. I haven’t seen any site as good as this giving away excellent softwares such as these. Plz count me in for this amazing contest. Please include me for this giveaway. Need Office 2013 for my work and part time courses. Thanks. Nice! Please count me in! Thank you for the giveaway .. Very essential office program, i love MS Office…. Please make me the winner! Been wanting to get this Microsoft Office software for my new PC. I’ll be very happy to use it…..
Really the best and a must-to-have office software for all office users. Really a great giveaway, Thanks ! This is the soft which i am using for the last 12 years almost every day. Please count me in for this excellent giveaway. great ! a must have! Very neadless instrument but it is too expensive. Want to get it free of charge! I want that SSSOOOOO badly, and I could really make use of it. I enjoy using Office 2010. Cannot wait to use Office 2013 and with all the new functions to create my documents with. Thank you for making it a Giveaway. This is a great giveaway, I wish to win the licence – please count me in. Sure I would like to win. Best software giveaway ever, thanks appfound! Using very old version at present due to cost of renewing. Would love to win this contest, please count me in. amazing….. appfound. what a giveaway. Thanks a lot. Excellent Giveaway.Please count me.Thanks AppFound. It is amazing to hear this giveaway. 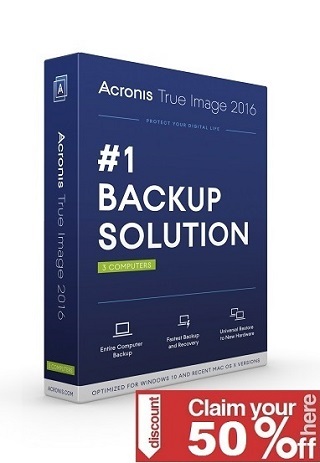 Great software for PCs. Nice Giveaway of Microsoft Office. Excellent contest, thank-you for the chance to win. please count me in thanks..
Hello, first of all, thank you for this offer. I hope luck will be with me this time. Thank you, please count me in! Hope to win this. Count me please. Microsoft is one of the leading Office Suites on the market. I had really good result using Microsoft:s software, that this would a great giveaway to have..
many thanks for this nice giveaway! Thank you, please count me in. Microsoft Office is the best application in word processing, graphics, or sheet. I want this application. Please count me in !!!!!!!!!!!!!! Please count me in, too. Thanks a lot. i like Microsoft Office. Thanks for this chance! Best regards. Thank You for this Giveaway. Best soft !!! thanks to count me in ! Merci pour la proposition, super log qui m’interresse vivement. It Will be a Great needed gift. I Hope to have it. Thanks. Wow! Thank you for this promo! I’m using Office 2003.. can I update? Thanks! Cool, I’m still using 2003! first, i must pronounce my fortune to have come upon the AppFound website. many thanks to the sponsors that provide the opportunity to acquire quality software that likely is inaccessible by many. second, i could not recommend a greater quality integrated office product, be it for professional or personal use. i’ve been dreaming of being able to upgrade to the latest version of many of its applications for the last several revisions of this microsoft product. i have no doubt that whoever the winner, they will not be disappointed. I´m glad that there is still someone thinking about us, humble people! I´d be extremely happy to use this new piece of software! Time to update my long ago outdated version of Office. Hope to win because I´d really like to use this new software! count me in, perfect giveaway. woohoo please count me in too. Great! Thank you to offer it. FOR MI, IS THE MOST USED PROGRAM ON COMPUTER. Count me in. May the luckiest person win! Great! Why not? Count me in! I like MS Office, great software. great software………., i want this to use it ………… please consider me for this…………. Please count me in for this awesome giveaway. I have been participating in you giveaways for so long. Hope I will win this one! Nice one… please count me in. OK. let test it again. count me too. Used Microsoft products for years. Can’t wait to see what the latest version is like. That’s great, count me in. Any chance for Windows Xp Professional with Service Pack 3 giveaway ? This is for me, count me in! very nice from you to help students to strengthen their info,waiting for your gift,thanks. Will be a nice gift for the happy winner!!!! I think Microsoft Office Home and Business 2013 is the office suite I need. I hope to get it thanks to your giveaway. Best giveaway ever! Please count me in! Nice one. Count me in. Please! Please! count me in for this. Never had Microsoft Office on my computer. Would like to be considered for this great giveaway. This is it.Great soft & fantastic Giveaway.Bardzo potrzebny. Thank you very much. Please count me. Heck yes…count me in. Thanks! I Like the Micrososft Office 2013 product, special for Outlook comnponent, in that time, and i hope to win the license. It will be nice if I am counted for this giveaway. Ooh thanks for the opportunity on this giveaway! Incredible ! Count me in please. WOW!! this one is GOOOOODDDD! Thanks a lot for wonderful giveaway! Please count me in! I trie this and like it a lot. COUNT ME IN PLEASE. Office 2013 ,wow ,…….I am waiting for the result ,,please count me in this giveaway… Thanks for this giveaway. I hope to get this nice soft. Thanks so much! I could really use this! Nice giveaway,thanks for the chance. Count me in please for this giveaway. Thanks. One of the best giveaways ever!!! so far,so good.Thank you,please count me in! give me a try, thank you! Rare chance! count me in. Hope I win a license. i just can say WOW..!!!! Thank You for this Giveaway. Please count me in..! The Best MS Office. Thanks for this Giveaway! Count me in! One of the best giveaways on net till date. Best giveaway. Thanks. I am in. Count me in for this great deal! Attractive and very professional looking! great giveaway, count me in please, thanks! Thanks APPF!!! All of us truly appreciate this unique giveaway!!!! Please count me in, i want to try the new office. Great! I wish I win this time! Absolutely superb giveaway . Thanks appfound for giving us opportunities to win such great products licence . Thanks for a fantastic giveaway. I hope I win this one!! Looking forward to use the latest microsoft product! Ya if I win!! Hi, please count me in! Nice Deal! Extra giveaway. Thanks to appfound.com. Wonderful office tool! Please count me in. Thanks in advance! Good soft and good giveaway, count mem in. This would be the greatest software for my works and life! I really really want to get this great offer! I’m waiting for the good news! wow this would be great!TY! Thx for this Giveaway. Please, count me in. I’d love to own this software! If I win I will no longer have an excuse to not learn the ins-and-outs of the ribbon UI! Wow most wanted software. I want this. Count me in! Ótimo software, necessário em tudo dentro de qualquer lugar. Quero muito ganhar um Office 2013, até mesmo porque preciso na faculdade. Only 4 comments in almost 4 days!!! What is going on??? If this is for real, count me in. Thanks. Thanks for giveaway, I using windows 8 and I’m very happy if I have office 2013. The best word processor until today it doesn’t have the best alternative or contenders for it. OMG. Please, please, please – count me in. Please, count me in for it!!! Thanks Great giveaway..please please count me in.. YES! MS Office 2013 please! Please count me in. Thank you again. Great office soft!!! Count me in, thanks! Nice. Count me in. Thanks. Thank you for this awesome giveaway. I like Microsoft Office. Other sw have many issues of compatibility. Microsoft Office is simply the best. Please include my name also! Big thanks for this great contest. I’m really interested to Microsoft Office H&B 2013, please count me in. I need it mostly.Please count me in! I really wish to have it. Please count me in! I really wish to have it. Microsoft Office would very useful for me. Thanks Appfound. I wan`t to win this. For me the best product ever …. it would be a pleasure to use it . Thanks Appfound for all your fantastic giveaways. Super giveaway!!!!! Please count me in. Please count me in. Would be happy if I get this. Nice giveaway, count me in ! Thaks for giveaway. Count me in please! Very great giveaway, many thanks ! Nice giveaway I’ll try my luck. Thanks. Wow!!! Very nice, and my favorite program! Please count me in! Thanks! Awesome!!! Count me in. Thanks. I have used Microsoft Office 2007 and the 2013 version would really be nice to have. That’s the best. No other program is so close to the perfection like this. Thanks. Count me in, great deal! Great news! I am waiting! Microsoft Office is the best.I want to win. Thanks for the MSO2013 giveaway. Great giveaway. Pls count me in…. THANKS SO MUCH AND COUNT ME IN. Great giveaway! Count me in! thx. I like Office 2013 very much. Great giveaway. Thanks. Please count me in. I would love to have this,the latest version of Office.Please count me in.Thank You,and thanks also to Appfound. Thank you, really a nice giveaway! thanks for latest office software.Please count me in. i’m so excited to see it,hey,come on! 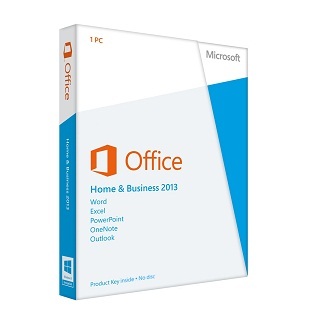 Microsoft Office Home & Business 2013! On my way for the new MS Office! Excellent giveaway .I want to be a winner. Thank for sharing. A great software. Count me in plz. A wonderful sharing. Thank a lot. So count me in plz. Hope to win this. Thanks. Great giveaway. Please count me in. I would love to have an updated copy of MS Office!! There are so many new features that would greatly enhance my work. I’d buy it, but my work is voluntary for a non-profit, so money is really tight, but I love the work they give me to do. The range is from documents and emails to PowerPoint presentations, slide shows, posters, brochures, tickets for various purposes, website maintenance, etc. There is nothing out there like MS Office! Thank you for the opportunity to try for a license! Would be well handy please count me in. Thank you AppFound for this fantastic giveaway. I love using Microsoft office! Currently on 10, but would love to have 13! Please count me in! Please please count me in for this great giveaway contest. Never to late to win great giveaway. Great giveaway,I want to win. Thank you for the Office 2013 giveaway. This is the greatest giveaway ever on this blog! Please count me in, I do not want to miss the chance to win such a gem! But i doubt about ur offer of giveaway ……..
Small change to win, though cannot win, if don’t try.. Thanks for giveaway! Please count me in!!! At .1%, still worth a chance. Great GA. Please count me in. Definitely would love to win it! Using the old version every day. Would love a new version! Thanks! Havent tried this version of office but would love to win this since i dont have any office program. I would love one of these. Please! Thank you for this wonderful giveaway. I hop to win!! Thank you very much for this chance to win. Please Sir, remember me in this giveaway. I shall be very thankful to you.